I'm passionate about mobile development, I have more that two years of expertise on mobile development specifically on Android and eight months of experience on iOS. I am excellent at writing efficient, maintainable and reusable code. I also have strong knowledge of Object-Oriented programming as well as protocol oriented programming and Software engineering best practices. I am also a fast learner, excellent problem solver. adaptability, strong work ethic, great time management skills, critical thinker, and excellent communication skills. I start my carrier at SQLi, in which i have learned several things such as SOLID principles, Agile practices, and how to code well. I hold a master's degree in computer science, I understand the global process of the big projects, how to solve bugs. I'm skillful too in clean architectures. 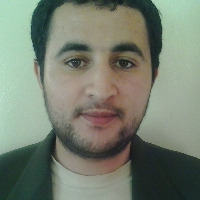 Send an invitation to Abdelmajid R.